Is Amabella the perfect fit for your family? Amabella is a three-year-old calm and happy girl with a beautiful smile. Amabella was born in February 2013. She met the New Beginnings Team on November 2, 2016. Amabella is a strong, beautiful child. 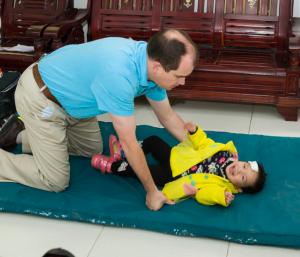 While she has been diagnosed with cerebral palsy and developmental delays, she still continues to laugh and play with all of the other children. She loves to color with crayons and play patty cake. She loves to crawl everywhere- in fact, she has wiggled her way across every inch of the play room. This shows her inner strength and independence despite her health condition. She absolutely adores cartoons, and she loves playing iPhone app games. Amabella has a very intelligent and articulate little mind. The New Beginnings Team was amazed as they watched her learn how to open and close the phone apps and play with her toys with such inquisitiveness. Amabella needs a forever family. She needs someone who will love her unconditionally, support her medical needs, and encourage her to live a happy, productive life. Could you be the answer to Amabella’s dreams? If you would like more information about Amabella, please contact Amanda@NewBeginningsAdoptions.org. If you love all things silly and fun, then you will absolutely love Knox. Knox is a bold seven-year-old boy that loves playing and staying active. He was born in June 2009, and he met the New Beginnings Team on November 2, 2016. Knox has a very fun and energetic personality. He loved throwing a ball back and forth with several people from the New Beginnings Team. 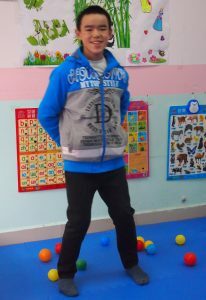 He is very active, and he loves to keep the play room alive by playing games with the other children. Knox’s favorite time of the day is snack time. He has a very hearty appetite, and he will eat just about anything. Knox also loves books. His eyes would dance with delight as the New Beginnings Team would read books to him with vivid stories. He especially loved the pages with pictures on them, and he would always stare at the photos with wild imagination and amusement. Knox has cerebral palsy and developmental delays, but he has never let this slow him down. His condition has only made him grow stronger, and he continues to live every day in the most lively and mischievous way possible. 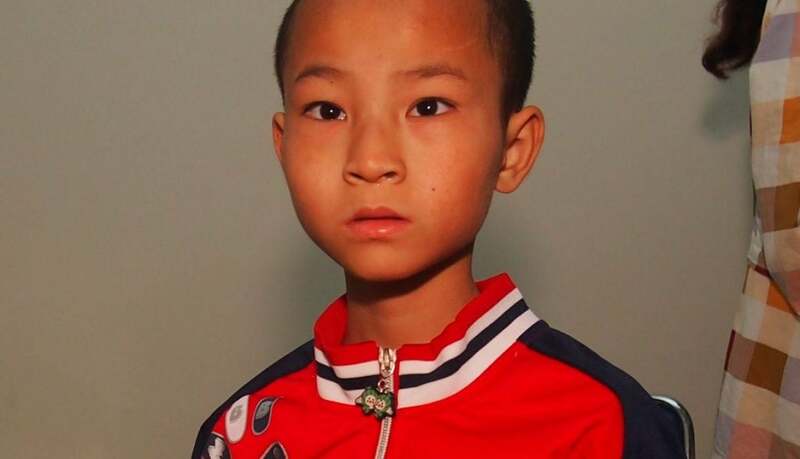 Could this happy little boy be a perfect match for your family? If you would like more information about Knox, please contact Amanda at Amanda@NewBeginningsAdoptions.org. Could Rosemary be the perfect match for your family? She was born in January 2008. Rosemary is a happy, delightful little girl. With short black hair and bright brown eyes, Rosemary will melt your heart with her contagious smile. Rosemary met with the New Beginnings Team on November 2, 2016. Rosemary is extremely ticklish. Despite the fact that Rosemary wore layers upon layers of clothing, she would still laugh until she was pink in the face when the New Beginnings Team would poke her little belly. Rosemary finds happiness in the simplest of things. She especially loved being talked to. The New Beginnings Team would sit and talk to her for hours, and she would smile and grin from ear to ear. Rosemary needs a forever family to love her unconditionally. Because she has cerebral palsy, she needs a family that will support her and give her the opportunity to live a happy, productive life. Do you think Rosemary is the missing puzzle piece to your family? If you would like more information about Rosemary, please contact Amanda@NewBeginningsAdoptions.org. Charmaine is a sweet girl who was born in August 2006. She met the Promise Kids team in November 2016. She was sweet but not shy. She enjoyed holding the hands of the team members. Charmaine has Cerebral Palsy, and (L) hemiplegia. She had some scars on her left leg which appear to be from muscle releases. She had some rehabilitation as well. Charmaine can do most of her self-care except for fasteners (zippers and snaps). She also needed assistance in the shower. Charmaine attends the orphanage school. She learns mostly singing and poems. She was able to scribble with a pen. Her favorite toy was the jumpy horse, and she enjoyed playing with a ball. Charmaine was able to walk independently. She could jump on two feet, go up and down steps and catch a large ball. 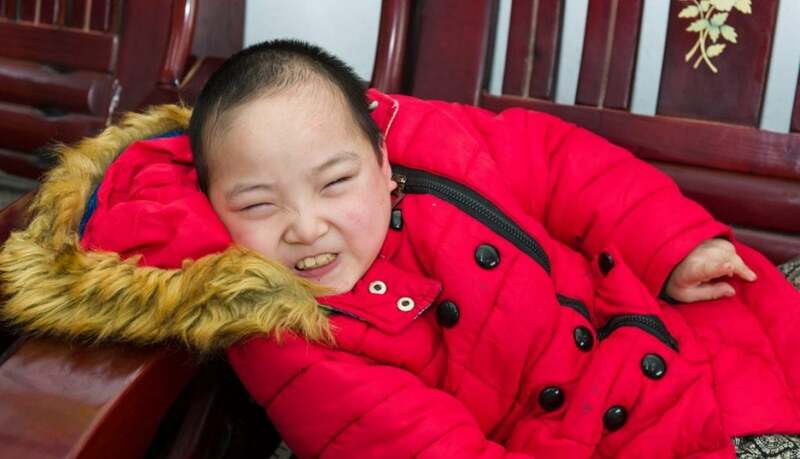 Her caregivers reported she likes playing with other children and is not picky about food. This sweet girl needs a loving family to reach her full potential. She has overcome a lot but needs a family to help her achieve even more. Could she be part of your family? Could she be your brave sweet daughter? For more information about Charmaine or any of our Promise Kids, please contact Amanda at Amanda@NewBeginningsAdoptions.org. Heath is a sweet boy who was born in October 2007. He met the Promise Kids team in November 2016. He was a sweet and shy boy who lives in foster care. There are older adult children in the foster home but also young playmates. Heath attends rehabilitation for Cerebral Palsy. He has improved greatly from Rehab. Heath can walk independently and jumps with both feet. He has a little difficulty with unistance balance. He is a sweet and gentle boy. Heath attends regular school and we were told he is good in Math. He reads and writes some mandarin. He could copy shapes. He has his own room in the foster home. He enjoys watching TV and his favorite activity is watching cartoons. We were told he does like to play with other children and is able to play and share well. Heath has made a lot of progress with his rehabilitation. He is waiting for a family to choose him as their precious son. He is so sweet – could he be part of your family? For more information about Heath or any of our other Promise Kids, please contact Amanda at Amanda@NewBeginningsAdoptions.org. Sweet Bernadette is a treasure. Her advocacy name means “brave”. Bernadette has overcome so much. 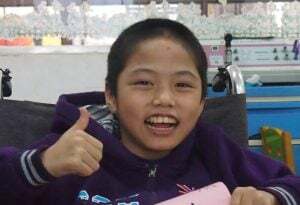 She has Cerebral Palsy with athetosis. 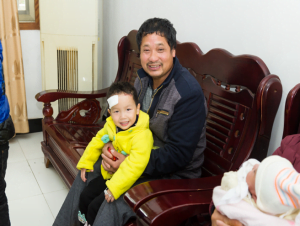 Bernadette has a sweet personality and her caregivers call her a very “positive and happy” child. She was born in January 2005 and met the Promise Kids team in November 2016. She greeted us with an English “Hi” and used several English words. She recognized when we made a joke and laughed happily. Bernadette can do many things. She can write and draw. She does most of her self care activities. The caregivers report it takes her longer to do some activities, but she can complete many tasks. She lives in a foster care within the orphanage with several other children. Bernadette wrote her name for us. She also drew a house. She colors and enjoys being with other children. She is able to sit independently and walks slowly. She can get up and down from the floor. She is truly amazing. She has received excellent rehabilitation and is reportedly always cooperative in rehab. Bernadette has worked so hard and overcome so much. She is amazing and would be a beautiful addition to a family. Is your family ready for beautiful, brave Bernadette. Could she be your daughter? For more information about Bernadette please contact Amanda at Amanda@NewBeginningsAdoptions.org. 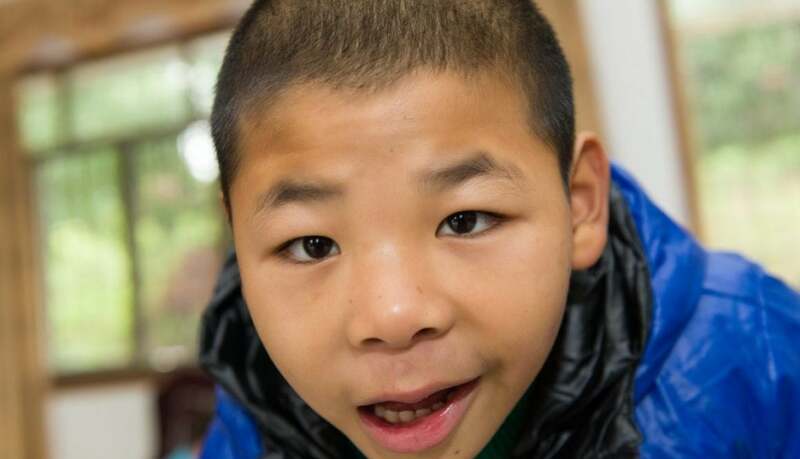 Josiah is a sweet boy who enjoys brightly colored objects and watching TV. He has been in foster care since he came into care. He was born in March 2012 and met the Promise Kids Team in November 2016. 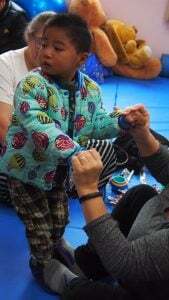 He wore an adorable balloon jacket when we met him and he really liked our purple bumpy ball. 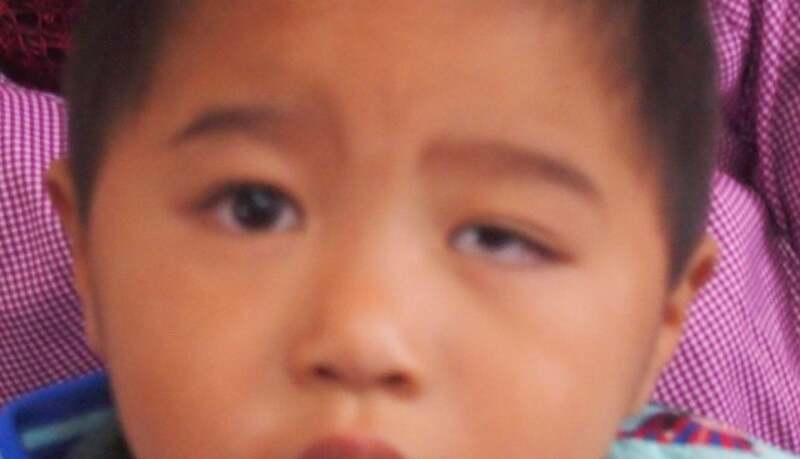 Josiah has Cerebral Palsy. He does not speak, but showed pleasure when he saw the toys. He smiled and laughed. He could hold an object and transfer it hand to hand. He can sit with support when placed. The caregivers reported that he can slide forward on his belly when placed but he did not do this for the team. 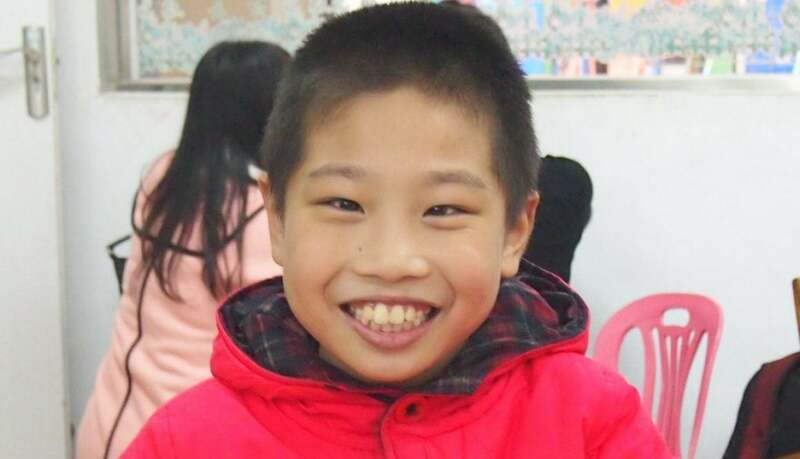 Josiah is an adorable boy who could benefit from rehabilitation to do more. It would make such a difference for him to have a forever family. Could he be your son? 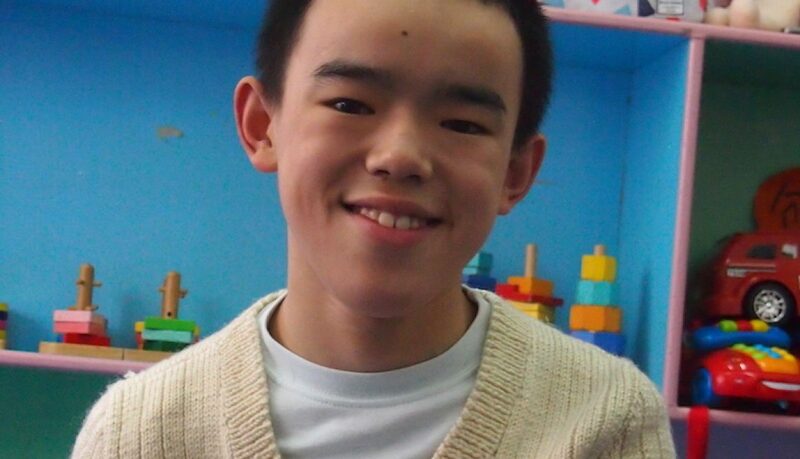 For more information on Josiah or any of our Promise kids please contact Amanda at Amanda@NewBeginningsAdoptions.org. 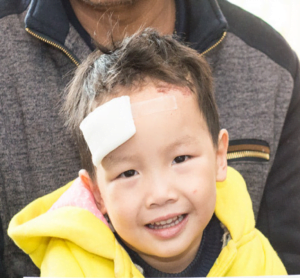 Hansen is a sweet boy the Promise Kids Team met in November 2016. He was born in April 2004. Hansen can speak very clearly and enjoys singing and painting. Hansen colored neatly and wrote his name with a marker. He acts as an older brother to other children and has been in foster care. He enjoyed the team’s play activities and had fun with everyone. His happy smile touched everyone’s hearts and made the team smile too! Hansen is diagnosed with Cerebral Palsy. He had scars that indicate surgery to increase muscle tone and muscle releases. 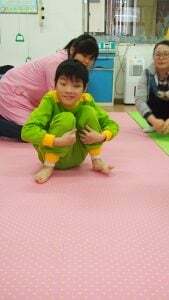 He can sit independently on the floor in a modified cross legged posture. He can wash his face and eat independently. Hansen uses a wheelchair for mobility. He requires assistance for dressing and toileting. He has received rehabilitation and has improved greatly in his ability to move. This boy is approaching 13. His time to find his forever family is getting shorter. There is a statement in his file indicating he hopes there is a family for him. This is a boy who is full of happiness and fun. He is just waiting for his family. Could he be your son? For more information about Hansen, Please contact Amanda at Amanda@NewBeginningsAdoptions.org. Zachary is a sweet boy born in March of 2004. 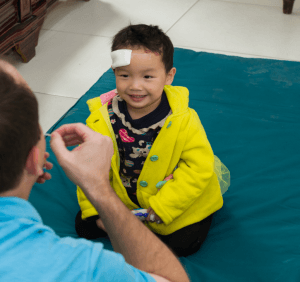 The Promise Kids team met in him China in November of 2016. He is handsome and has a sweet round face. His caregivers were very excited to share how much this amazing boy can do. He could not wait to dance for the Promise Kids team. Here is the video showing how proud he was of his dance. It was a sweet moment for everyone. There are many special things about this boy. Zachary is usually shy with strangers, but warmed up to the team very quickly. He loves watermelon and is not picky about food. 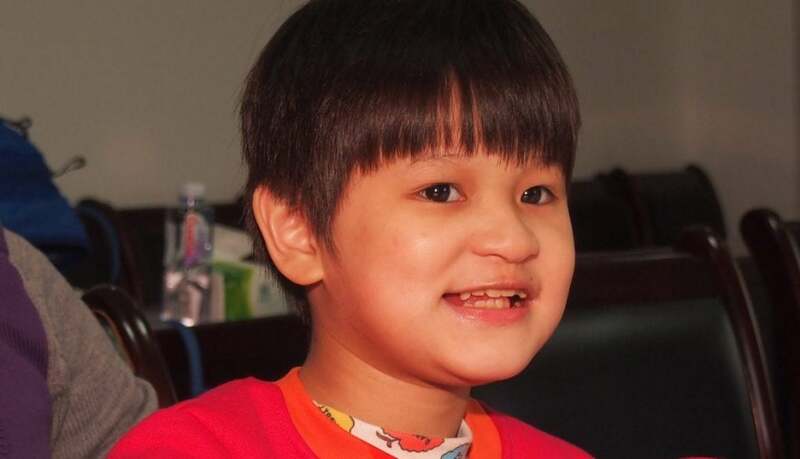 His favorite activities are using computers and playing games. 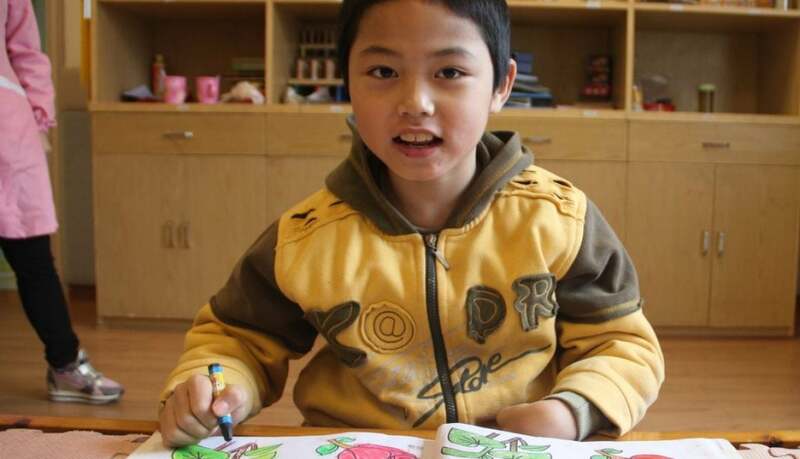 He attended a local kindergarten and primary school, but now receives education in the SWI. His favorite activity is homework. 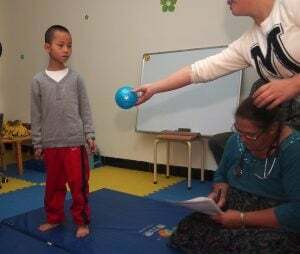 The caregivers reported his understanding is good and he is a very helpful boy. He assists them in all activities. Zachary has Cerebral Palsy and has had surgery on his arm. He was noted to have some athetoid movements. He can write his name and use the computer to type as per report. He did write his name for us. 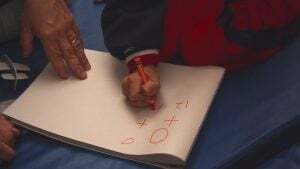 The caregivers stated he knows addition, subtraction and multiplication. You can see in the video how well he can move and his dance was adorable. Zachary is almost 13 years old. This means his time to find a family is limited before he ages out. Zachary is a wonderful boy with a sweet personality. His smile warmed the room. Is he your beloved son? For more information, please contact Amanda@NewBeginningsAdoptions.org. This handsome boy needs a family to help him take the next step into his future. The New Beginnings team met him in November 2016 and we are calling him Brooks. 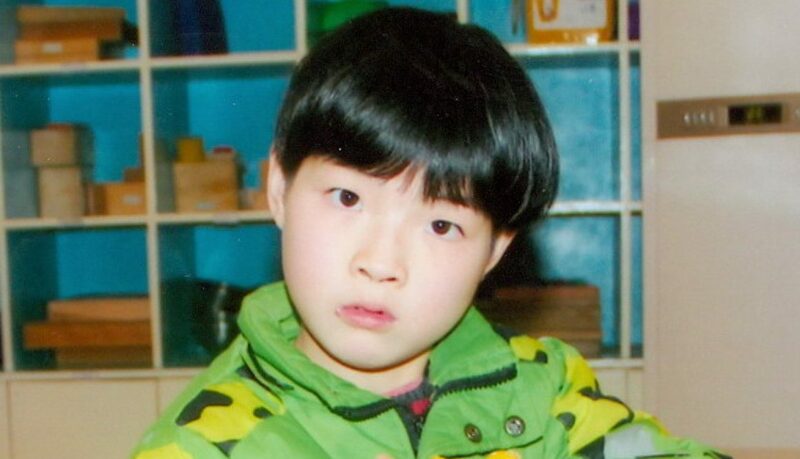 He was born in January 2006. Brooks likes to sing songs and wrote his name in characters for the Team. His favorite toy is puzzles and he shared that his favorite color is red. Brooks is a good listener and the caregiver reported he likes to help take care of the younger children. He showed us his independence by trying all our activities and refused any help. He was sweet, gentle and connected with each member of the team. He has a winning smile. His caregivers strongly advocated for him and they were committed to his developmental therapy. Brooks shows great determination in all he does, as he has Cerebral Palsy, Spastic Diplegia. He has had several muscle surgeries, as well as what they are calling a “brain paralysis operation”. He walks with a walker, but only used it for light support. He can dress himself and was able to button and unbutton his coat, and take his shoes and socks off/on. Brooks can do all his own self care except for bathing. He can get off the floor to his walker without any help. He could learn to do so much more with the help of a loving family. 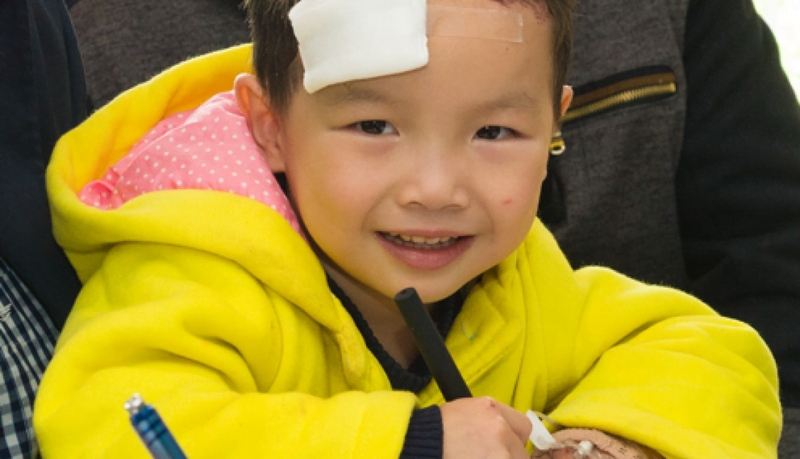 So Brooks waits for a family to see his amazing personality, sweet spirit and determination. He is a boy with unlimited potential. He has come so far and is doing so well! Are you ready to help Brooks take his next step? Could he be your son? Please contact Amanda@NewBeginningsAdoptions.org for more information about Brooks.